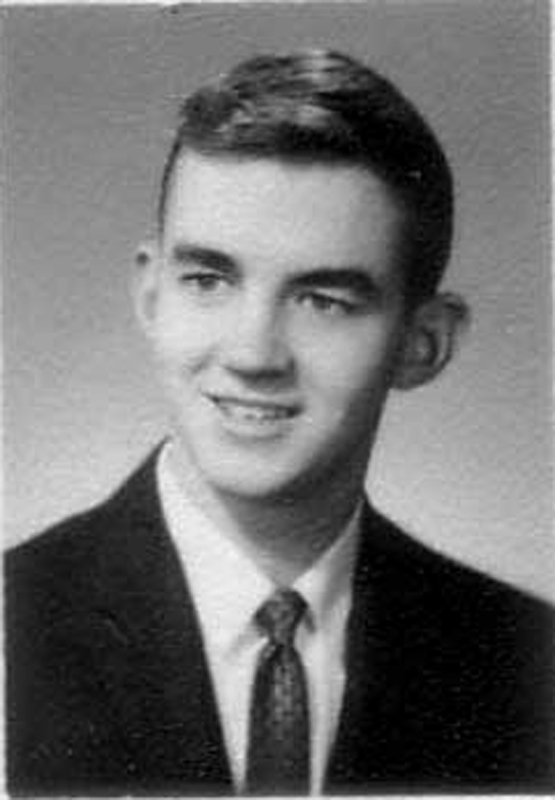 Jack D. Menting, 48, of Japan and formerly of Alma, died Sunday; December 19, 1993 at the Air Force Base Hospital in Yokosuka, Japan. 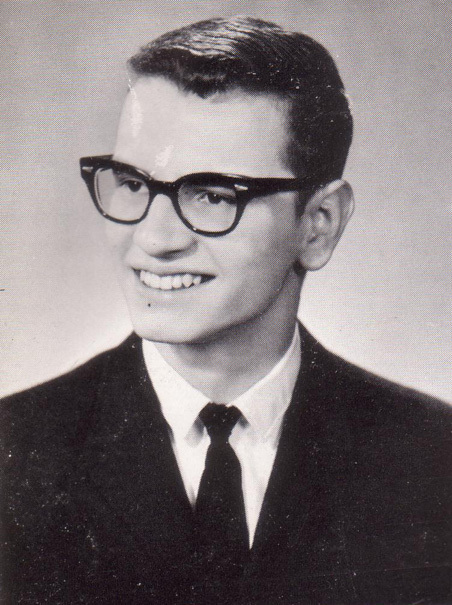 He was :born May 24, 1945 in Alma to Leonard and Vivian (Seifert) Menting. He married Edith Herold of Alma, Wis., in California. He served in the U.S. Navy for 21 years in such areas as Turkey and Japan. He retired in July 1984. Survivors include his wife Edith of Misawa, Japan; his father, Leonard Menting of Alma; five brothers, James Menting of Lafayette, IN., Charles Menting of St. Paul, MN, Donald Menting of Knightdale, NC, Merl Menting of Fountain City, and Joel Menting of Minneapolis, MN; four sisters; Darlene Lehtola of Mound, MN, Connie Menting of Bloomington, MN, Judy Laehn and Nola Call, both of Fountain City. He was preceded in death by his mother, Vivian. A memorial service will be 2:30 p.m. Friday, Jan. 7, at the Stohr¬Hagen-Wozney Funeral Home in Alma. Rev. John Beckfelt will officiate. Burial will be in Fort Snelling National Cemetery in Minneapolis. Friends may call from 1:30 to 2:30 p.m. Friday at the funeral home. Military Rites will be conducted by the American Legion Post of Alma. CANTERBURY, Conn. - Susanne M. (Bautch) Koscielecki, 51, of Canterbury died peacefully in her home Saturday, March 29, 1997, following a long illness. She was born June 4, 1945, in Nelson, Wis., to the late Adolph L. Bautch and Evelyn I. (Urnes) Bautch. 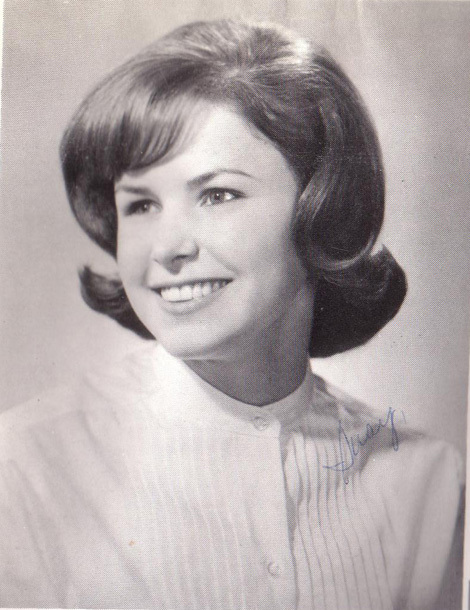 She was valedictorian of Alma High School class of 1963 and an honors graduate of the University of Wisconsin, where she earned both a bachelor's and a master's degree in Spanish and Latin American Literature. She was a Fulbright Fellow in Quito, Ecuador, in 1968. She married Thomas E. Koscielecki on July 24, 1971, in Madison while employed by the University of Wisconsin-Madison. Mrs. Koscielecki moved with her husband to Ottawa, Ontario, Canada, in 1972 where she was employed as a program officer by the International Development Research Centre. In her work there, she traveled extensively throughout Asia and the Near East assisting in the development and monitoring of applied research projects in the health sciences. While in Canada, she earned a master's degree in educational measurement & experimentation from the University of Ottawa. After her return to the United States, she continued her work in the health care field, most recently with the State of Connecticut as a Planning Specialist in the Alternative Care Unit of the Department of Social Services. She is survived by her husband, Thomas E. Koscielecki of Canterbury, Conn.; her sister, Barbara A. Hartman of St. Paul; four brothers, Richard G. Bautch of Houston, Texas, Robert F. (Susan) Bautch of Evanston, Ill., David J. (Sonja) Bautch of Alma, and Thomas A. Bautch of Nelson, Wis.; and several nieces and nephews. A memorial Mass will be held at 2 p.m. Saturday, April 12, at St. Lawrence Catholic Church in Alma. Friends may call at 11 a.m. until time of services Saturday at the church. Memorial donations may be made to Hospice of Northeastern Connecticut, P.O. Box 203, Pomfret Center, CT, 06259-0203. Dunn County News, Wed, Feb. 28, 2001. Thomas M. Slawatyniec, age 56, of Menomonie, died Friday, Feb. 23, 2001, at his home. Thomas was born Dec. 28, 1944, in Thorp to Michael and Mary (Dudra) Slawatyniec. 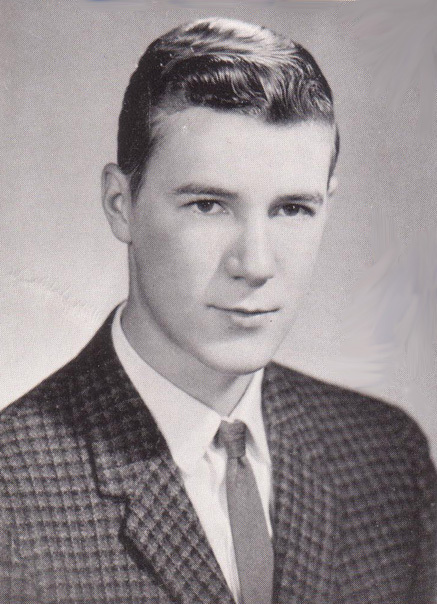 He was raised in Alma where he graduated in 1963 from Alma High School. Tom served in the U.S. Army during the Vietnam era. Following his time in military service, Tom returned to Menomonie and worked at Sanna Dairies for 35 years. He was a member of Hosford-Chase Post #32 of the American Legion. He also enjoyed the outdoors, especially gardening and his flowers. Tom is survived by his mother, Mary Slawatyniec of Withee; three brothers, Theodore (Joyce) Slawatyniec of Neenah, Malin Slawatyniec of Thorp, and Nicholas (Carol) Slawatyniec of Buffalo City; aunts, uncles, cousins, nieces and nephews; and other relatives and friends. 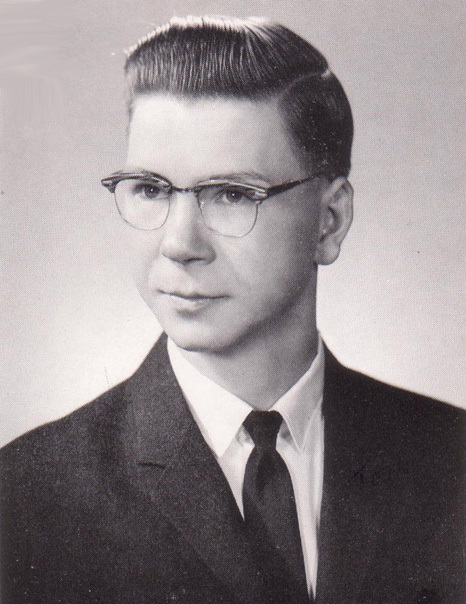 He was preceded in death by his father and a sister, Carol Reuth. 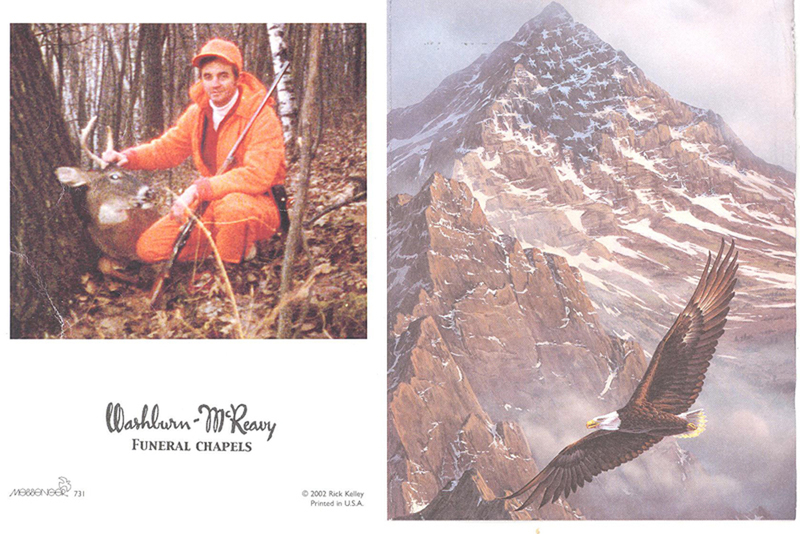 Funeral services are 2 p.m. Friday, March 2, 2001, at the Olson Funeral Home in Menomonie with the Rev. Geoff Scott officiating. Military honors will be conducted by the Menomonie Veterans Honor Guard. Burial will take place in the spring. Friends may call from 6 to 8 p.m. Thursday and one hour prior to services Friday at the funeral home. From Linda: In searching for information about Ron, I contacted Winona State College where he graduated in 1973 with a BS in Nursing. They passed on some Social Security information where I was able to gather his birth and death dates. If anyone has further information, please email me by clicking on the "Email Linda" button at the left of this page. 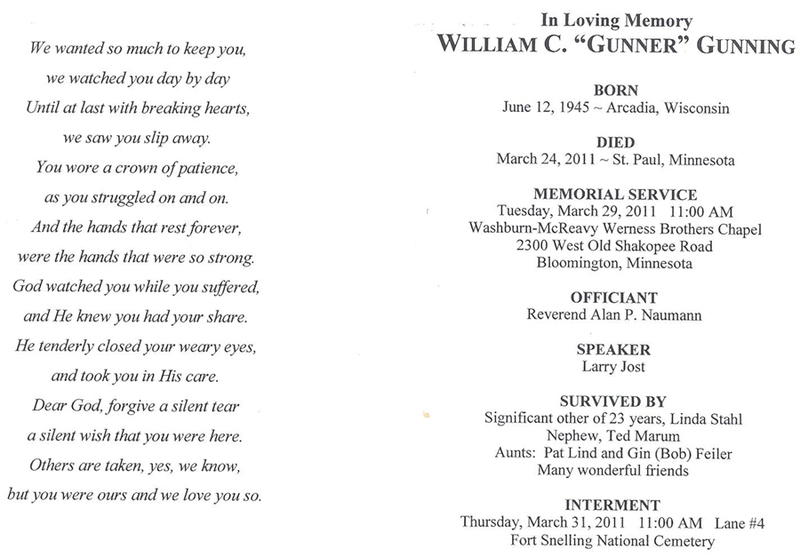 BLOOMINGTON, Minn. - Bill "Gunner" Gunning, 65, of Bloomington and formerly of Eagan, Minn., passed away March 24, 2011. Preceded in death by parents, Edwin and Arlene; sister, Mary Kay Gunning; and brother, Jerry. Survived by significant other of 23 years, Linda Stahl; nephew, Ted Marum; aunts, Pat Lind and Gin (Bob) Feiler; and many wonderful friends. Gunner served in the Navy from 1962-66. Retired from Northwest Airlines after 37 years of service. Memorials preferred to Alzheimer's Association or Animal Humane Society. Interment at 11 a.m. at Fort Snelling National Cemetery, Thursday, at Lane 4. Memorial service at 11 a.m. Tuesday, with visitation one hour prior at Washburn-McReavy Werness Brothers Chapel, (952) 884-8145, 2300 W. Old Shakopee Road, Bloomington, MN 55431. 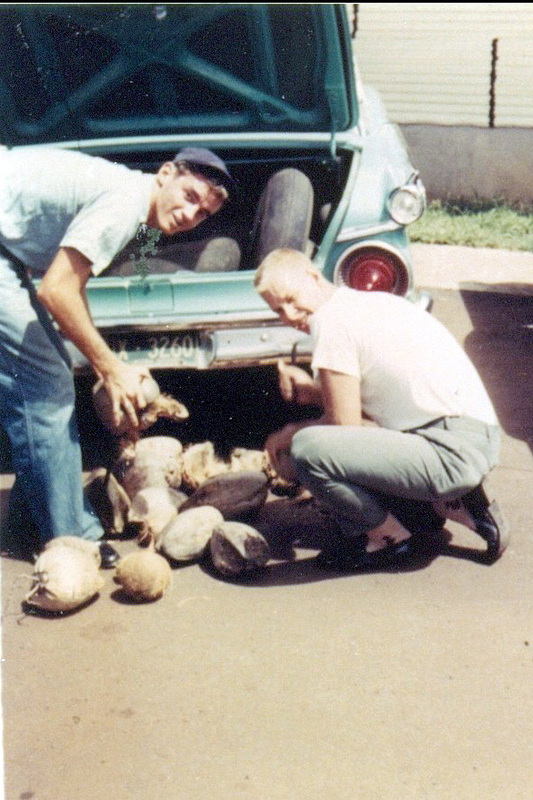 Throughout the years, I did searches for the guys I served with in Hawaii and Viet Nam. I correspond with four regularly and have made contact with a few more, but never had any luck contacting Bill until the other night when I did a search and came up with Bill's obituary. I passed it on to a couple of guys that also knew Bill. We all agreed he was a happy-go-lucky guy and never took things too seriously. 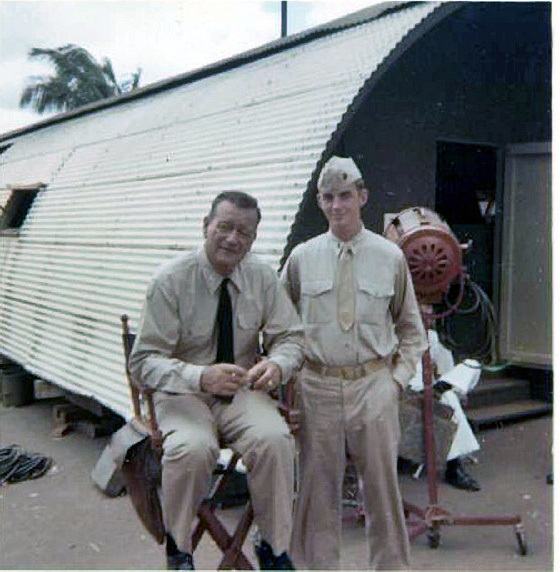 Bill with John Wayne at the time they were filming "In Harm's Way", 1964 or 65. Bill was chosen to be an extra in the movie. 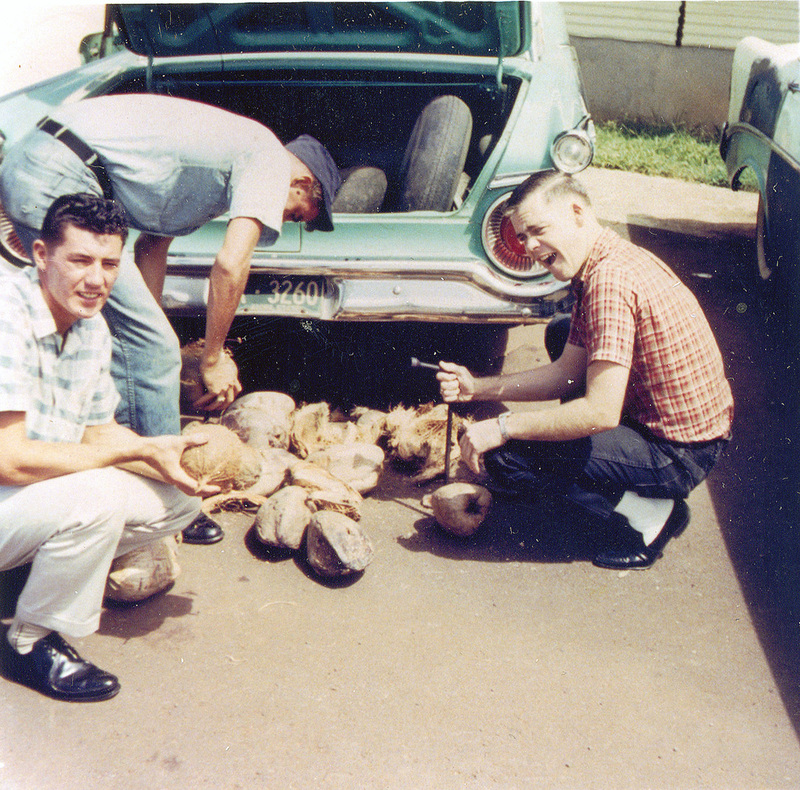 A couple of pixs showing Bill "shucking" coconuts. 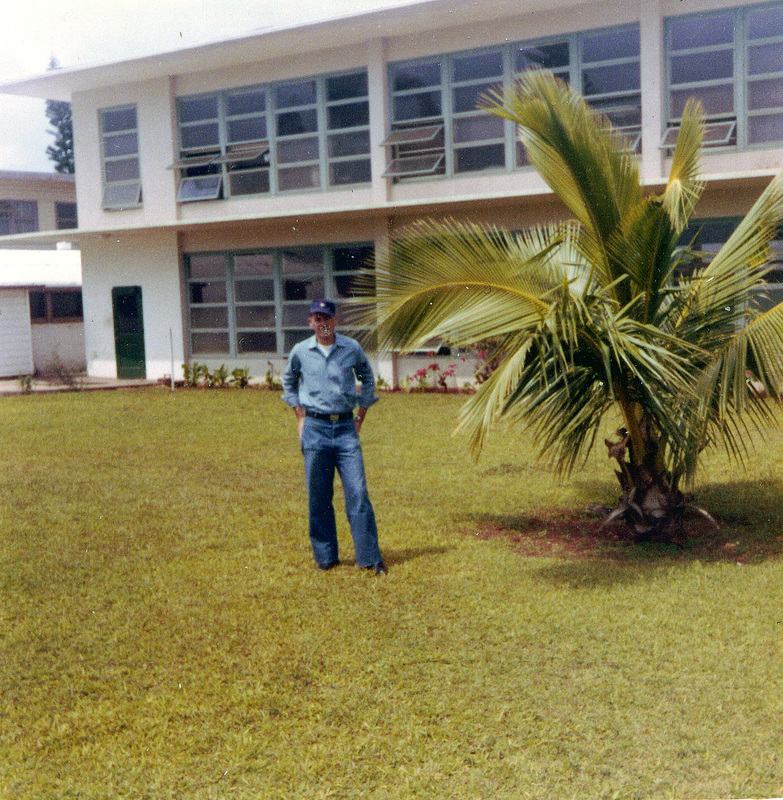 On our base we had plenty of coconut trees and had a banana tree in front of the receiver site where we worked. 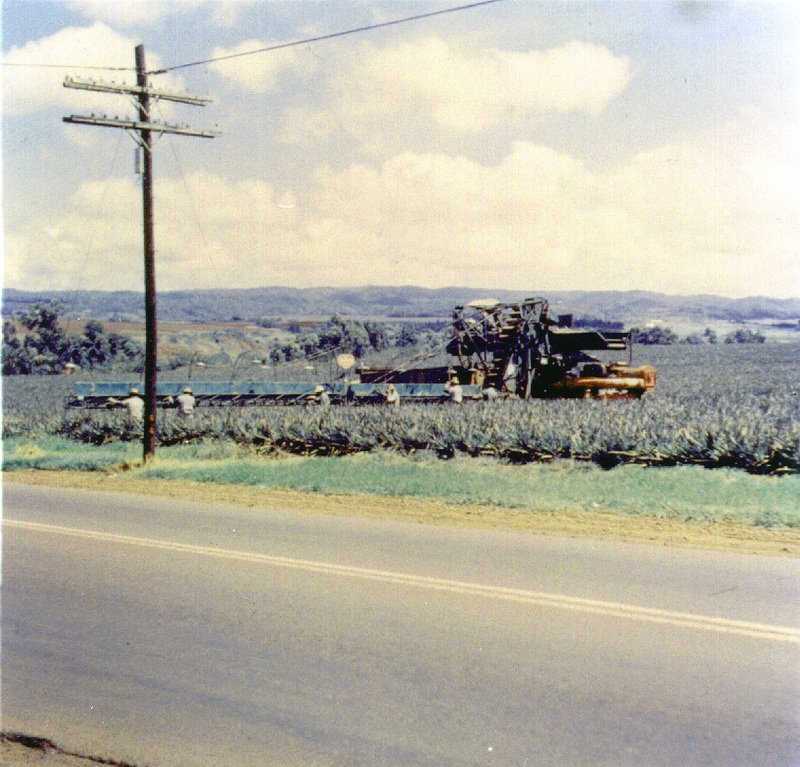 Our base was surrounded by pineapple fields owned by Dole. 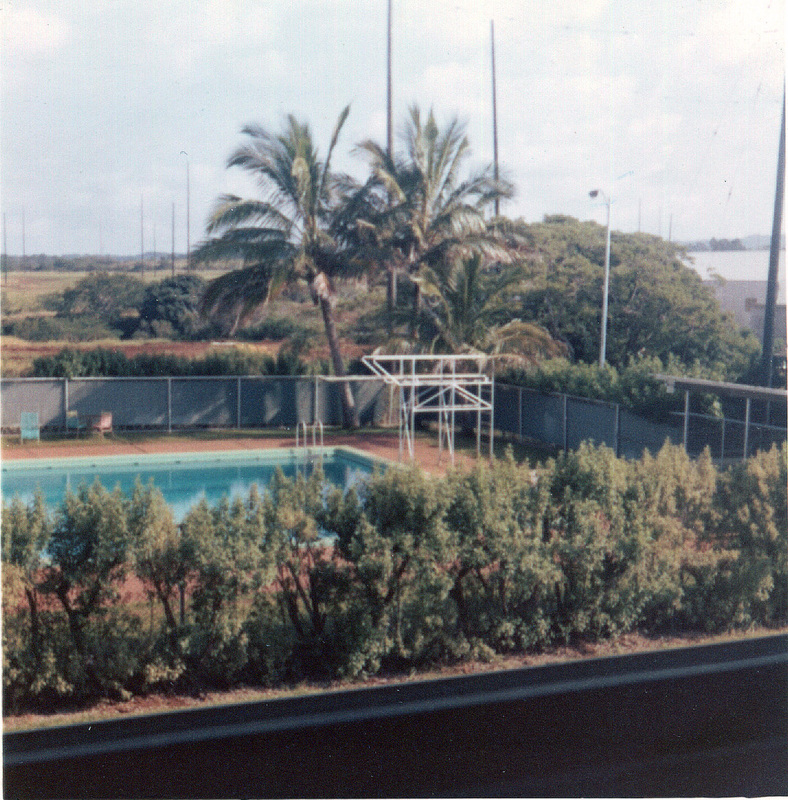 There's a picture of our barracks and the swimming pool behind the barracks. NOTE: Our base (Navy 85) was located in Wahiawa, Hawaii. I am originally from Utica, New York. We moved to Sanford, North Carolina, in 2007 to be with our son and his family. We sure don't miss the winters in Upstate NY. Please click on "Email Linda" to send additional information for posting here. Copyright© 1963-2018 by AHS Class of 1963. All rights reserved. Email Webmaster with any technical concerns.